Brand new edition of ‘x’, featuring a live DVD. 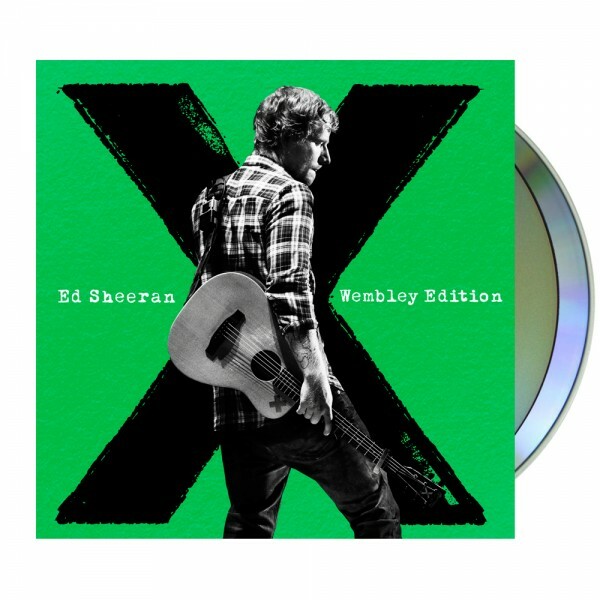 The live DVD brings together Ed’s captivating performances from the biggest shows of his career at Wembley Stadium in July 2015, where he wows the 80,000 strong crowd with his biggest hits to date, including 'The A Team', 'Sing' and 'Thinking Out Loud' – and there’s even a surprise duet with Sir Elton John. Live performances are intercut with the story of Ed’s triumphant road to Wembley, presenting a revealing and personal glimpse into life backstage and on the road, along with an honest and intimate reflection by Ed – and those closest to him – on just how far he has come.